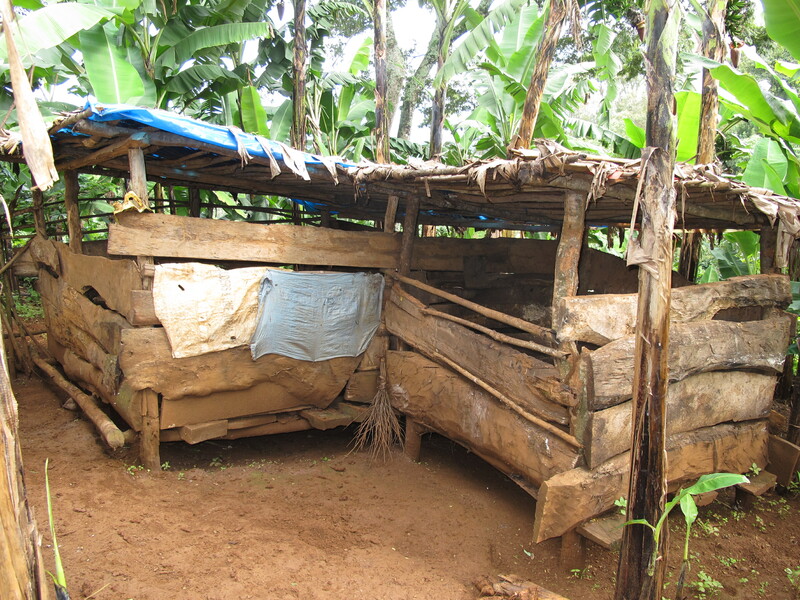 "Together we can, Pamoja tunaweza"
In 2009 the pig project started and has now 38 members. Pig projects generate good money and it is easy to take care of pigs. The families that benefit from the project use the money to pay school fees, school uniforms, other school expenses, clothes, good food and so on. Minjeni funds the first pigs and is still sometimes giving money for pig food, especially if the pigs got piglets. The first two piglets that are delivered go to Minjeni: one for selling and one to a new member in the village. 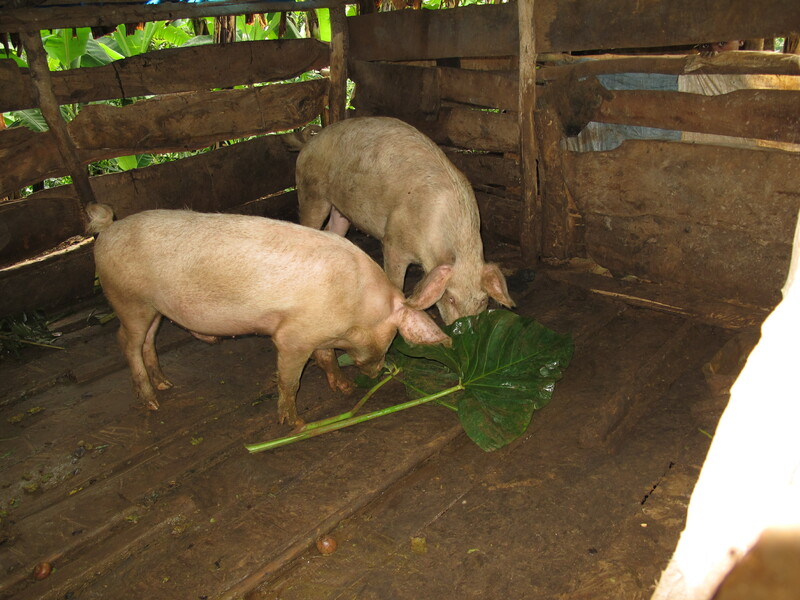 The families that are in the pig project use the manure for their coffee plants, banana plants and yam plants, so by being a part of the pig project it also benefits for other agriculture. The project has not yet generated in that much money but the group thinks that after 5 years it will be very successful and helped them to solve different problems that burden the community now. The group also has a wish that Minjeni will add more projects to the project. To keep this project good a veterinary should be stationed in the village so that the project can get help fast and during the night. The veterinary will also be able to give seminaries to the members to develop the project further. A problem with the project is that they do not have enough money to give the pigs good nutrition and Minjeni is thankful to all donations that profit the different projects.